After powering to the No. 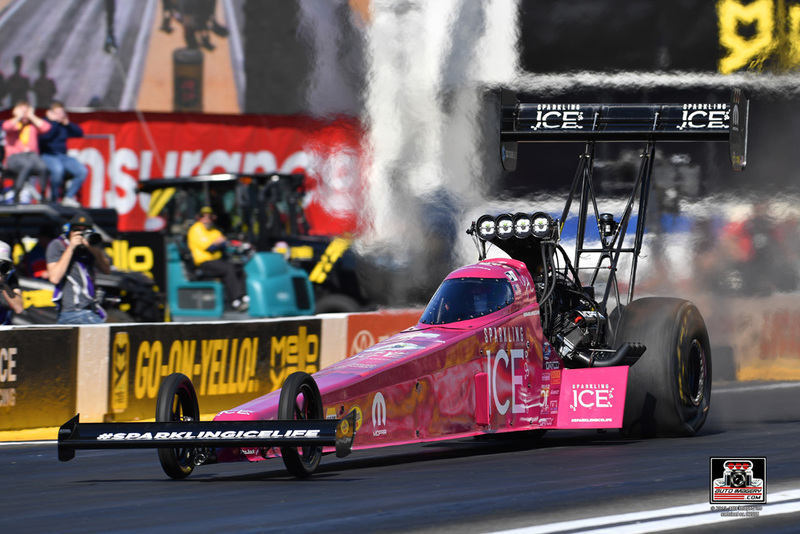 3 qualifying spot with a stout 3.696 second pass, three-time Top Fuel world champion Antron Brown started race day with a first-round matchup against teammate Leah Pritchett. Brown and Pritchett were nearly even leaving the starting line, but Pritchett gained a slight lead almost immediately and held on to take the win with her 3.707 second pass versus Brown’s 3.733 E.T., dashing his hopes for his first NHRA Winternationals Wally trophy. “The track is tricky the tighter it gets out there. We had a good combination, and we went up there and tried to do a ‘rinse and repeat’ and improve a little bit. We thought we had enough to run a 68 or 67 but the track was so good it nuked the clutch out there on the race track. It slows you down when you go through the clutch like that. The good thing is, we got down a hard race track that a lot of other cars couldn’t. A lot of cars were shaking and everything else. We just had the wrong pick of the litter. We had our teammate and they made a better lap than we did and they got the win. We’re looking good going into Phoenix, our next race. We’re very confident in this Matco Tools Toyota. We have a car that can go down the track every time and can be very competitive and will get better and better each lap. We’re looking forward to getting to that next race and getting back to it. After struggling to make a clean pass during qualifying, Leah Pritchett unleashed an impressive 3.707 E.T. in round one of eliminations to claim the upset win against her higher-qualified teammate Antron Brown. Pritchett was on a good run against opponent Terry McMillen in the quarterfinals before her 11,000 horsepower Top Fuel dragster started dropping cylinders and gave way to a fireball before halftrack, ending the 2017 Winternationals champion’s hopes of another event win at her hometown track. Norco, Calif. resident Jack Beckman was hoping to end the day at his home track with his first Auto Club Raceway at Pomona Funny Car Wally but would have to settle for a runner-up finish. Beckman and the Dean Antonelli/John Medlen-led Infinite Hero Foundation team qualified second for the NHRA Winternationals by recording the quickest pass (3.900 seconds) of the final qualifying session. Beckman was scheduled to run opposite Phil Burkhart Jr. in round one of eliminations, but his opponent did not make the call, allowing Beckman to earn his 400th round win once he took the lights. In the quarterfinals, the 2012 Funny Car world champion made his best pass of the weekend (3.875 seconds) to earn the round win and meet his teammate, Tommy Johnson Jr., in the semifinals. Beckman navigated the Infinite Hero Hellcat cleanly down the track and posted a 3.898 to activate the win light against Johnson. 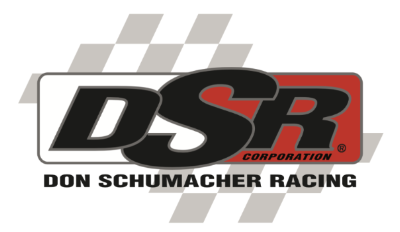 The stage was set for an epic final round matchup between the two highest qualified drivers. Beckman, who won his first NHRA national event at the 1998 Winternationals while competing in Super Comp, laid down a 3.880 second pass against Robert Hight, but Hight was able to maintain his narrow starting line advantage to snag the holeshot victory. “As a driver, the last thing you want is to look at that time slip and see that you got beat on a holeshot. Final rounds are a little different because drivers will roll it in a little bit because we don’t care about lane choice. 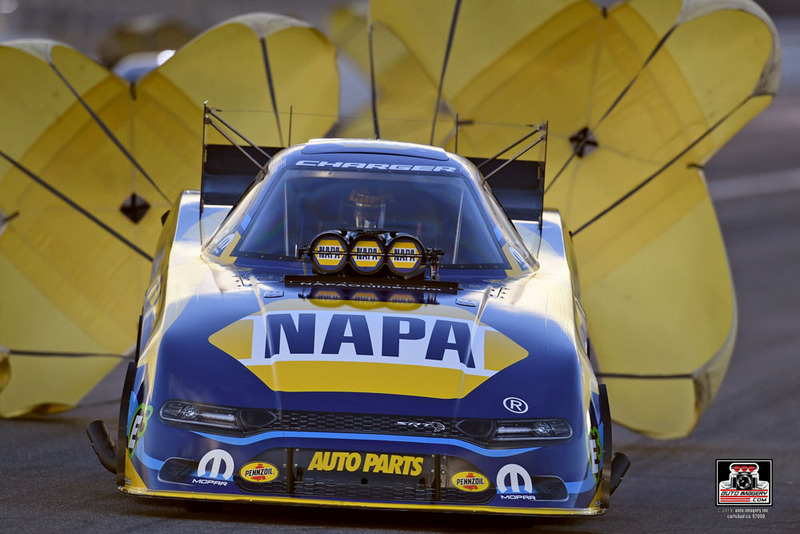 Ron Capps kicked off his 25th season as a professional NHRA drag racer by posting a stout 3.915 second E.T. in his new NAPA AUTO PARTS Dodge Charger SRT Hellcat and qualifying in the top-half of the field. 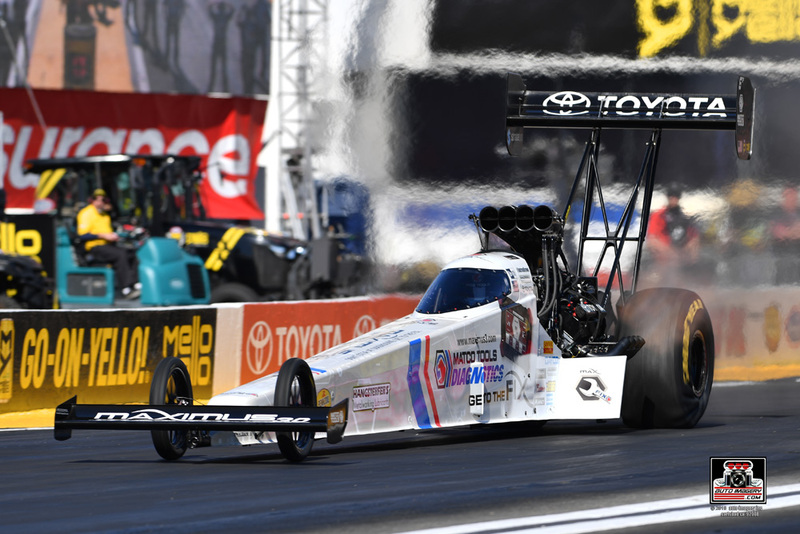 After persistent showers forced the NHRA to postpone Sunday’s race, Capps had to wait until Monday morning to square off against Gary Densham in round one of eliminations. The three-time Winternationals champion launched the NAPA Dodge off of the line first and maintained the lead from start to finish, crossing the stripe in 3.933 seconds at 323.04 mph. 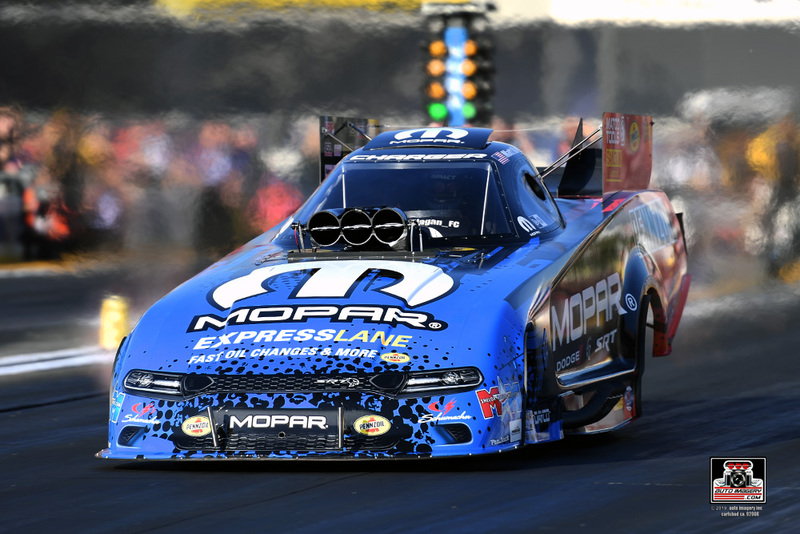 In the quarterfinals, Capps went toe-to-toe with John Force, the only Funny Car driver in the history of the sport to have claimed more wins than Capps. Once again, the NAPA AUTO PARTS Funny Car pilot took the lead with a slight starting line advantage but his machine starting dropping cylinders down track. Force was able to claim the win with his 3.900 second E.T. versus Capps’ 4.092. Matt Hagan entered the race weekend as the two-time defending event champ and with his sights set on becoming the fourth Funny Car pilot in history to win the season-opening event three years in a row. Unfortunately, it wasn’t meant to be for the Auto Club Raceway at Pomona E.T. and speed track record holder. Hagan was out of the gate first against opponent John Force. The MOPAR Express Lane Dodge Charger SRT Hellcat held the lead until the 330-mark before slowing to a 4.140 and allowing Force’s session-best 3.890 E.T. to claim the win. “Obviously not the Winternationals we were hoping for. We won this race the past two years in a row and were hoping to make it three. I think if maybe we struggle at the beginning of the season than we’ll do well at the end because the last couple of years we’ve done well at the beginning and then stumbled at the end. At least that’s how I’m trying to look at it right now. Our MOPAR Dodge Charger SRT Hellcat is going down the race track, but it was just one of those things. We hit the bump out there and the clutch came at it really hard and pulled the tires loose. No excuses, on to the next race but I think with the way we qualified and the way the cars been running, I’m happy with it." 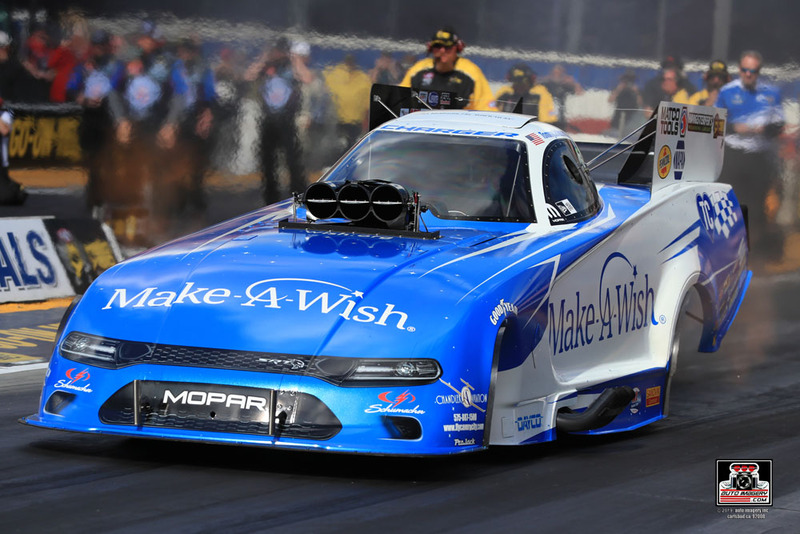 Fresh off a runner-up finish at the most recent event at the Auto Club Raceway at Pomona, Tommy Johnson Jr. and the Make-A-Wish team picked up right where they left off, making two bonus point-worthy runs during qualifying to claim the No. 3 starting position. 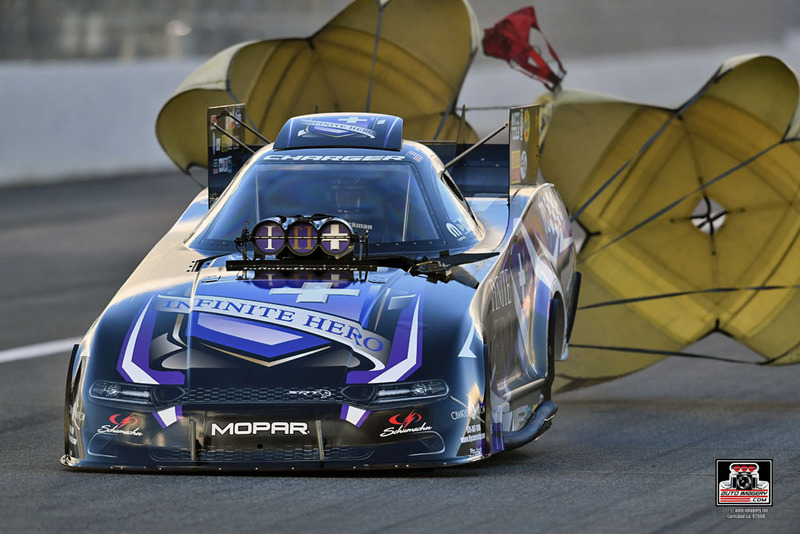 Johnson picked off tough competitors in Tim Wilkerson and Shawn Langdon to earn a spot in the semifinals which featured a ‘giving car’ matchup between Johnson and teammate Jack Beckman behind the wheel of the Infinite Hero Foundation Dodge Hellcat. Against his teammate, Johnson was quick off of the line and earned the holeshot advantage before his 11,000 horsepower Funny Car shook hard and rattled the tires, enabling Beckman to drive past and capture the round win. "It’s been a really good start to the season; our best start as a team. To leave here third in points and makes some really nice runs, I’m really happy with this car. We finished the year with it and put it away last winter. We brought it out and it picked right back up where it left off. I’m really excited and think we have a really competitive team for the rest of the year."